Two sterling silver stacking name rings- perfect mother’s ring for mom of two personalized with names of children. Customize for mom of one with her child’s name and birthdate. 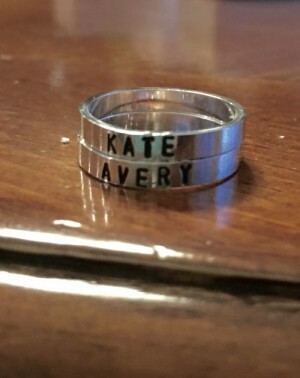 Sterling silver, hand stamped rings. 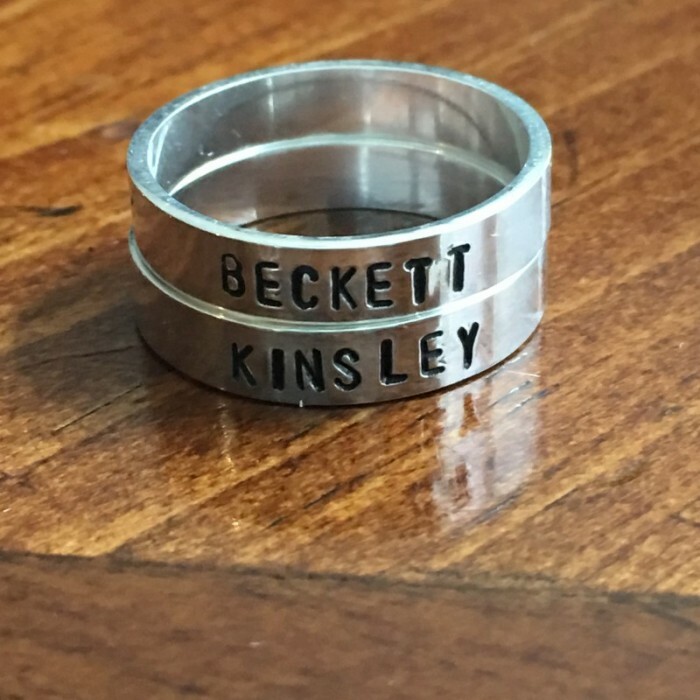 Personalize each ring with up to 12 characters- bands measure 4mm. Set is available in sizes: 5, 6, 7, 8, 9, 10, 11, 12. 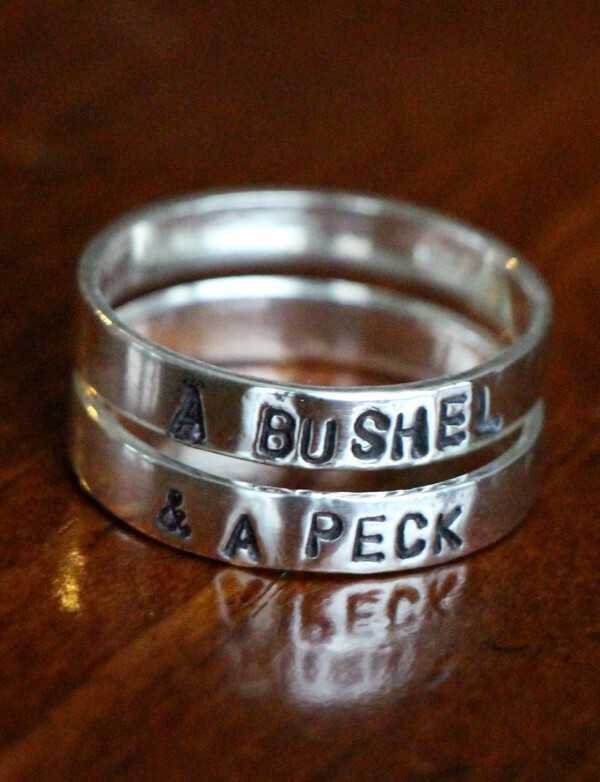 Categories: Best Sellers, Collections, Expecting & Push Present Gifts, Hand Stamped Rings, Mom and Grandma Gifts, Mothers Day Gift Guide, Rings, Stackable Rings. 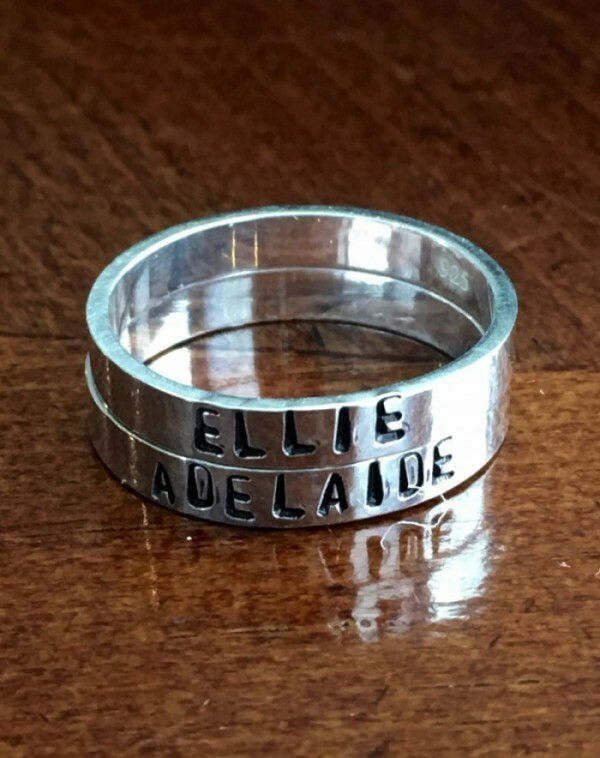 Tags: mom of two, mothers ring, name ring, stackable ring, sterling silver. 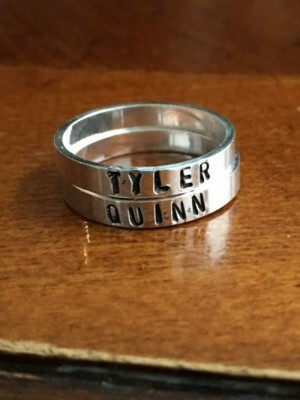 Mom Ring: personalize with the names and or birthdate’s of children. 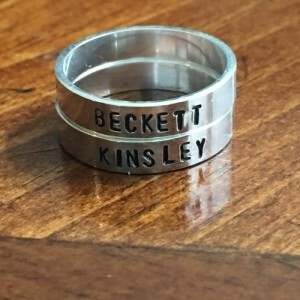 Wedding or Anniversary Ring: personalize with couple’s name and wedding date. The wife loved this as her mother’s day gift. I added the silver beaded ring as a separator between the two rings. 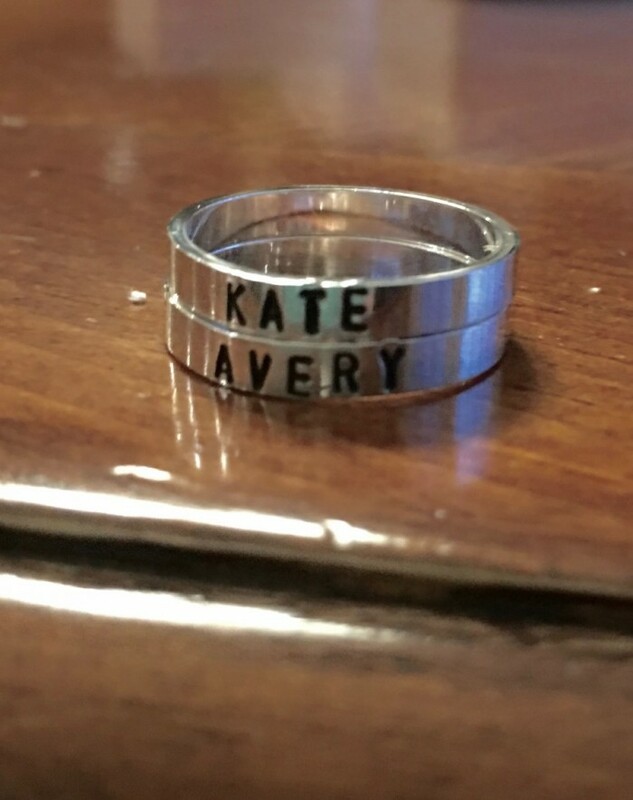 Received one ring with the name incorrectly spelled. Made a phone call and was able to receive a corrected ring once I shipped the incorrect ring back. All in all, a great gift idea. Family Name Charm Bracelet– personalize with the names of children and grandchildren for yourself, a Mom or special Grandma. Couples Charm Bracelet – personalize with names and wedding dates to create a keepsake Anniversary or Wedding gift. Graduation Charm Bracelet – create a personalized graduation gift hand stamped with her name, graduation date and school. New Mommy Charm Bracelet – give a special new mom a push present hand stamped with her new baby’s name and birthdate.